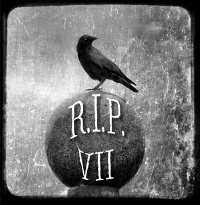 When I think of cemetery's, my mind quickly evokes the image of the solemn Bird Girl. 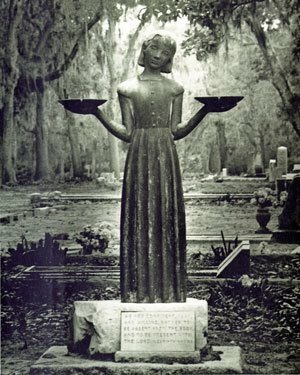 Probably one of the most noticeable figures in cemetery history, The Bird Girl became renowned when she appeared as cover art on the book Midnight in the Garden of Good and Evil. Before she gained notoriety, she went relatively unremarked upon on a family plot in Bonaventure Cemetery in Savannah Georgia. The whimsical bronze statue was originally sculpted by Sylvia Shaw Judson in 1936. She went on to sculpt four more, the final one named "Little Wendy" by the Trosdal family, who placed the statue on their family burial plot. It was photographer Jack Leigh who brought the statue to the forefront when he snapped her for the cover of Midnight in the Garden of Good and Evil. 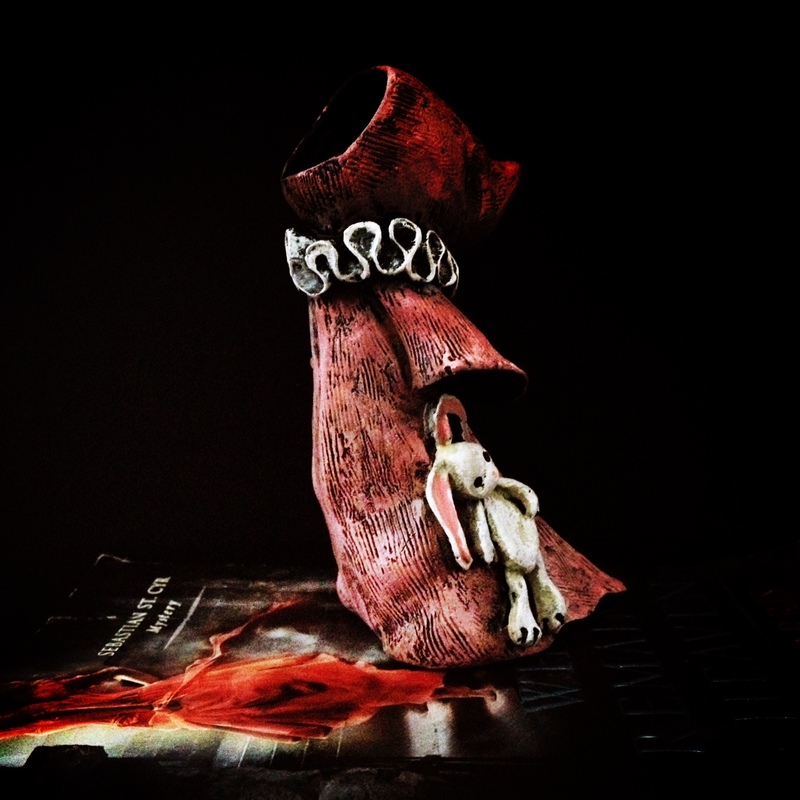 After the 1994 release of the bestselling novel, Little Wendy's image became synonymous with Bonaventure Cemetery. She was soon moved to Savannah's Telfair Museum of Art and that is where she still resides. 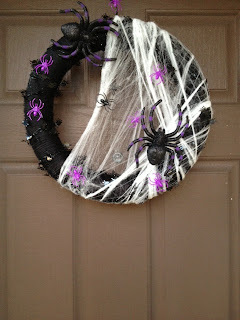 This post is part of The Graveyard Book challenge and read along. For more graveyard perspectives, visit the discussion post. This is the first official post for The Graveyard Book Group read hosted by Carl V. The read-along started on October 1st and this first discussion post will cover chapters 1-3. I'm listening to The Graveyard Book on audiobook. 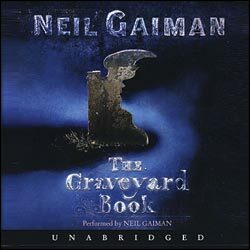 It is excellently narrated by author Neil Gaiman. I went into the The Graveyard Book having avoided all spoilers, reviews and even the summary. I had no idea what the book would be about, other than a boy and a graveyard. So, to say that the opening surprised me would be an understatement. I wasn't expecting it of a children's book, but then reminded myself of the books I grew up reading by authors like Mary Downing Hahn, Pam Conrad and Alvin Schwartz. All books that dealt with death, spirits, ghosts and the like. With that in mind, my surprise settled into the comfort of nostalgia, then into intense satisfaction as I was transported by the tale told in Gaiman's own voice. How Nobody Found the Graveyard opens on the heels of a gruesome murder involving the family of a boy, so young, he's still in diapers and is only toddling about. Oblivious to what has happened in his home, the baby gets free from his crib and wanders outside. He makes his way to a graveyard where he meets interesting spirits who are shocked to see a real, live baby amongst them. The baby is taken in by the ghosts of the graveyard, namely Mr. and Mrs. Owens who agree to be his parents and is cleverly given the name Nobody Owens aka Bod, and thus begins his new life. The New Friend finds Bod aged a bit. He is old enough now to know that he is different from his graveyard family and to feel different. As the chapter title states, Bod meets a new friend. Scarlett is a five-year-old girl who decides, that Bod is about her age, too, since he's unsure of how old he is. Their friendship is instant and innocent. They play together and they become confidants. Bod tells of his life in the graveyard and Scarlett of hers in the world outside of the graveyard walls. To the reader, their friendship is tentative one, due to their very different circumstances and it makes you wonder if they can really remain friends for long? I found that a lot happened in this chapter and I was left intrigued by what one creepy discovery would uncover in future chapters. The Hounds of God finds Bod parts disenchanted, lonely and bored. Bod's boredom, like in most cases, leads to trouble. He finds himself entangled with a nasty group of ghouls. Bod is tested in a way he hasn't been before. He doesn't have the safety of the graveyard to fall back on and must use his smarts to get out of the mess he's found himself in. Of the first three chapters, this one was my favorite. I enjoyed the suspense and action that takes place here and that there is a lesson to be learned. And though I know that there is more to come in the form of trouble for Bod, I liked that at least this chapter ended on a high note. I am truly enjoying The Graveyard Book so far. I'm very glad that I chose to listen to it in audio because Neil Gaiman's telling of his story is masterful. The Graveyard Book Group Read is a part of the RIP VII challenge. For more thoughts on this book from other readers in the challenge, visit the Discussion Post. I guess I've been living under a rock because I had no idea until today that there is an adaptation of Leo Tolstoy's Anna Karenina, starring Keira Knightly as Anna set for a limited US release on November 16, 2012. To say I loved the two episode miniseries, would be a gross understatement. I've also been listening to the audio version of the book narrated by David Horovitch for the past month or so. If you've never seen this miniseries, have Netflix, and enjoy period pieces, then what are you waiting for? Anna Karenina is a scandalous story of passion, pain, love, betrayal, and following your heart, even to your own demise. Check out the trailer for the 2012 release. I'm having serious palpitations over the beautiful costumes and scenery.